What does it mean for Christians to bear the cross? Explain, please, what does it mean for Christians to bear the cross, according to the words of the Lord Jesus Christ when He says that the one who doesn’t take his cross and follow after Him is not worthy to be his disciple. I heard that this refers to fulfilling the commandment regarding spreading the Gospel, yet there are more passages in the Bible that reflect different aspects of taking the cross and following after Jesus, concerning the attitude we have for our life, for our relatives and for wealth, goods, financial situation. 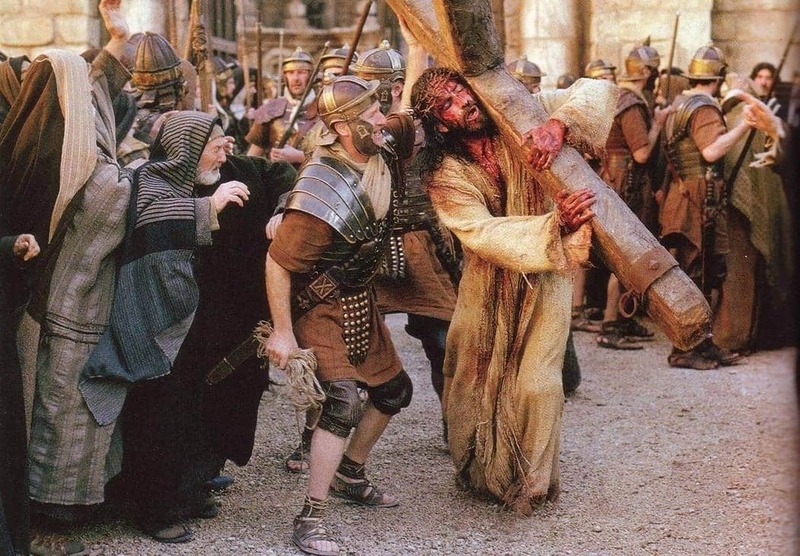 Before we start to observe this subject, it is very important to remind once again that crucifixion was a Roman method to execute the capital punishment and this terrible method was very spread and well known. Almost 100 years before the crucifixion of Jesus Christ, Romans crucified all participants at the rebellion of Spartacus who were caught and in that way, both sides of the road that led from Sicily to Rome was full with crucifixions – an awful image they wanted to use to scary all slaves from the empire, so that they might never think of another trial to make a rebellion against the existing system of that time. During Jesus Christ this cruel execution method was very spread among the punishment used by Romans. Another important detail for our subject is the fact that after one was condemned to death by crucifixion, after the sentence was read, the convict one had to bear his own cross to the place of execution, as the Bible says about Jesus Christ, whom Romans treated the same way they were treating each convict to death. The cross was borne by a person who was condemned to death and he bore it from the place his sentence had been read to the place where his sentence was executed. To bear the cross means to walk the way from where you have been condemned to death to the place you are to be put to death. Before His crucifixion, the Lord Jesus told His disciples many times that they had to bear their cross. Let us look at other cases when the Lord Jesus said that to understand the meaning the Savior wanted to emphasize through this expression. The first time in the New Testament these words of the Lord Jesus are mentioned in the 10th chapter of the Gospel of Matthew, when the Savior called those 12 apostles and sent them to spread the Gospel, but in the beginning he told them important things about the provocation they would have when they preached to people. At first, he told them about the way they had to behave with people and to report to them, then how to face the financial needs and beginning with verse 16 He told them them about the way they would be persecuted because they preached the Gospel and how to behave during those persecutions. Here is what will happen to the true disciples of Christ, because they will preach the Gospel. When someone decides to follow after the Lord Jesus and to go to people with the message of the Gospel, he has to be conscious that this decision involves the danger to be put to death, because he will preach the Gospel. In other words, the one who decides to be a disciple of Christ and to preach the Gospel has to pronounce his own death sentence and to live the rest of his life as the one who has died for himself and lives for Christ, being ready to be put to death anytime because of the Gospel. The Lord Jesus continued to talk with the disciples before He sent them to preach the Gospel. As we see the man from the related story, he wanted to inherit eternal life and he lived a correct life. But that was not sufficient. The Lord Jesus didn’t need his property, but He saw that his property was his idol, and so he remained bound to them. Love for possessions was a reason that didn’t allow him to take his cross and follow after Jesus. Is there any thing, any person or any other purpose in your life that keeps you so bound, that you can not dedicate your life to Christ completely and you can not take your cross and bear it. Don’t be deceived and don’t walk sad. Take your cross and come to follow after Jesus Christ, the King of Kings and the Lord of Lords, who bore His cross to bring us an eternal salvation.